The MM-2D-E Channel Mic/Line Input/Output Dante Converter with Built-In DSP Mixer from Tascam is a compact half-rack converter that can be used to convert 2-channel mic/line input/output signals on Euroblock connectors into 4 Dante channels or the other way around for pro-audio applications. The MM-2D-E Input/Output Dante Converter features level control and is compatible with Dante Domain Manager software, which offers security functions, enables the use of wide-area networks, and provides easy access to Dante systems using already established network infrastructures. With AES67 mode, connection to AES67 network systems is also possible. Two installation brackets and four Euroblock plugs are included. TASCAM DCP CONNECT, for integrators: input/output routing selection, DSP/design/scene settings of the complete system, etc. 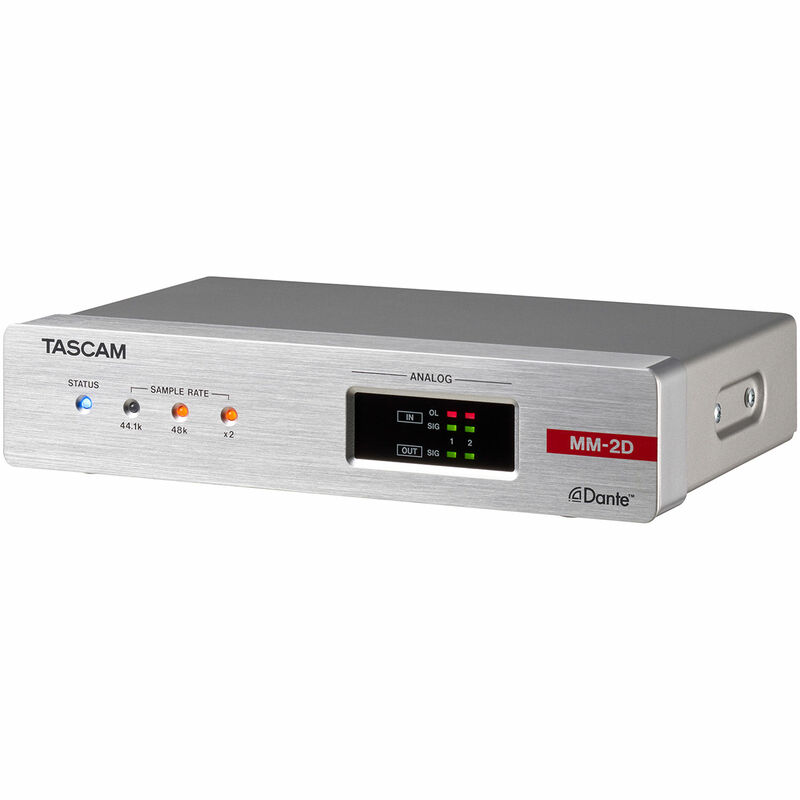 TASCAM EZ CONNECT, for end-users: simple app design for only the necessary functions such as area-volume settings, etc. Box Dimensions (LxWxH) 13.5 x 13.1 x 9.3"